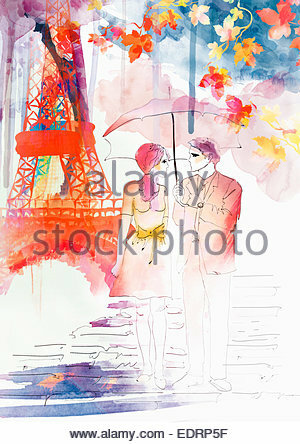 Paris, France, couples walk under old trees along the Seine River. Above is seen the famous bridge covered with love locks, which were later removed. 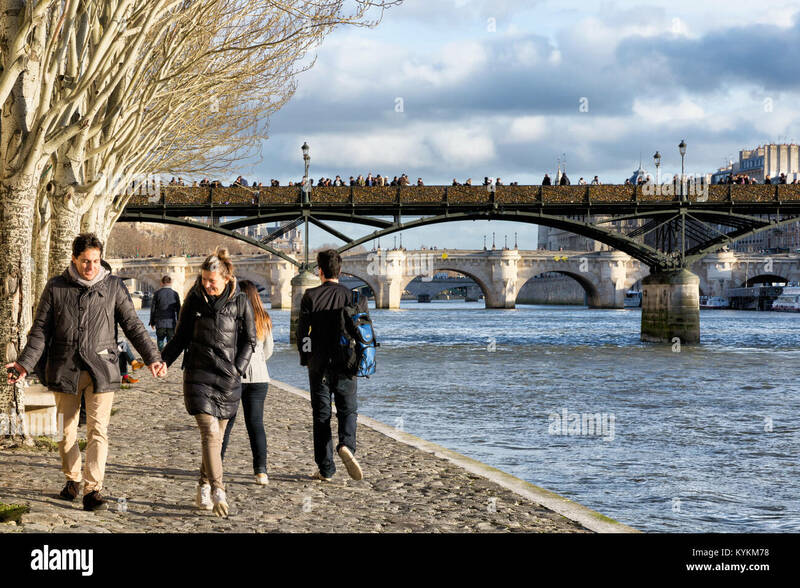 PARIS-JAN 2, 2014: People walking along the Seine River, a favorite activity for visitors and Parisians. Above is a view of the famous bridge covered with love locks.